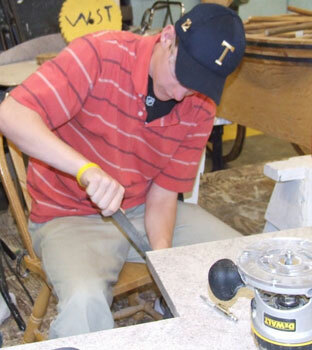 Building Construction/Carpentry is a competency based program consisting of 4 years of instruction. Students are prepared to work safely with both hand tools and power tools. Industrial safety standards are constantly stressed. 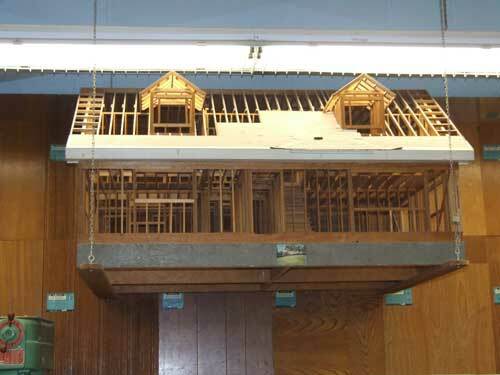 Students are given theory on building construction design, and then have the opportunity to perform many of the skills in an actual hands-on application. Students often participate in live projects which increase their confidence. Some of the instructional competencies offered are: blue print reading; estimating; floor framing and pneumatic nail gun safety. Students get the opportunity to work with the latest construction equipment and tools. Some of the equipment & tools are: laser transits; circular saws; routers; drills; sanders; band saws; table saws; jointers; planers; chop saws and pneumatic nail guns such as framing and finish nailers and staplers. Students graduating from this program have the option of entering the work force directly after graduation, or they could choose the tech prep option to continue education for a 2 year or 4 year college degree. "There will always be a need for Carpenters and skilled trades-people. This shop is an excellent place to learn the trade." 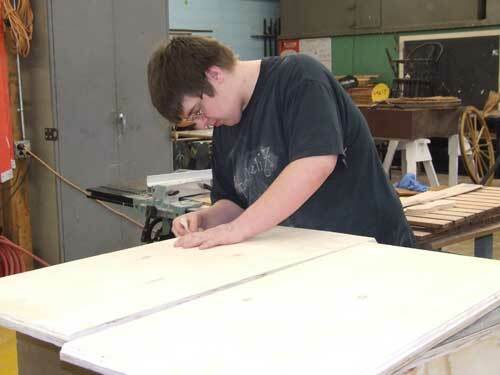 "I am choosing Carpentry as a career path after I graduate. When I complete my 4th year in this shop, I feel I will be ready for an exciting and rewarding career."